The low rumble of an engine, the faint whiff of diesel in the air; subtle clues that one of the stationary cars on this quiet Poplar street is running its engine and releasing unnecessary pollution into the air. Two volunteers, dressed in bright blue ‘Idling Action’ jackets sidle up to the vehicle and rap gently on the window. 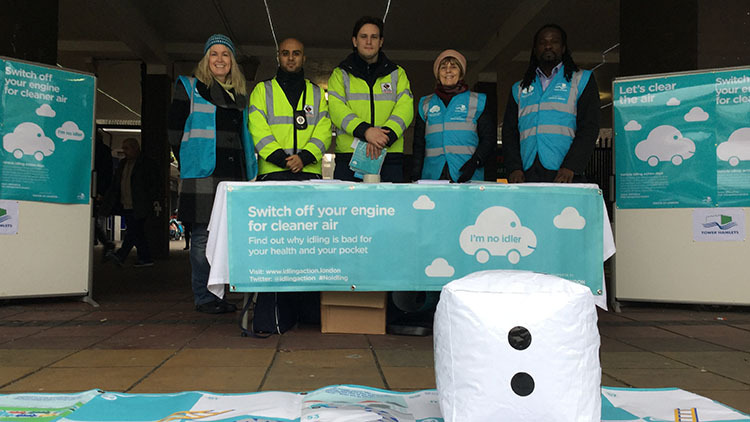 As part of efforts to clean up London’s toxic air, ‘Idling Action’ campaigners were out in force yesterday across Tower Hamlets, urging drivers to switch off their car engines when not in use. The ‘Idling Action’ initiative – supported by funding from the Mayor of London’s landmark Air Quality Fund and 12 local councils – takes an active approach to cutting air pollution in the capital where parts of London breached annual air pollution limits in just one week in January, prompting the Mayor to issue a “Very High” pollution alert. Drivers who sit in vehicles with the engine running are a surprisingly large contributor to pollution, according to Paula Owen, founder of Green Gumption, an eco sustainability agency that provides marketing support to the Idling Action campaign. 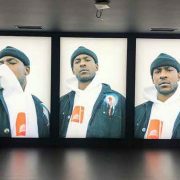 “Idling is unnecessary, it’s polluting, and it’s actually an offence,” she said, adding that the public response to the campaign was largely positive and that people had an understanding of London’s pollution issue. “Especially in the last month or so, because it’s been in the news that we have black levels of pollution, which is the highest level,” she said. 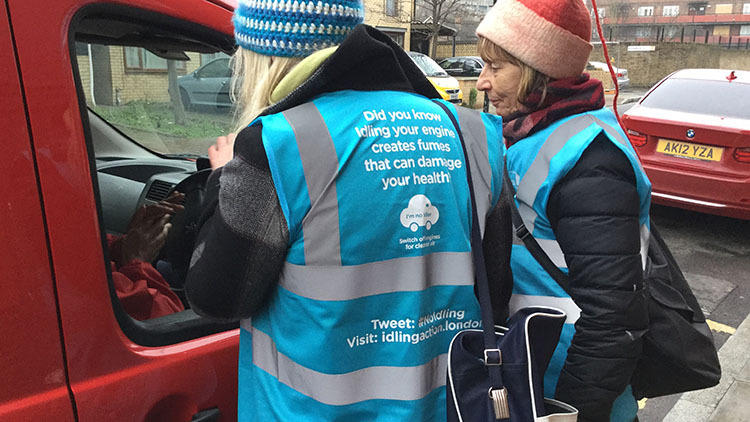 As well as encouraging greener vehicle practices, Idling Action’s volunteers engage the public and raise awareness of ways they can help reduce pollution. 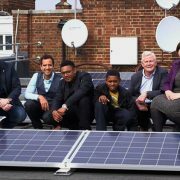 The scheme brings together committed volunteers, known as Cleaner Air Champions, defined as: “a member of the public who has an interest in Air Quality and has a passion to help improve it”. 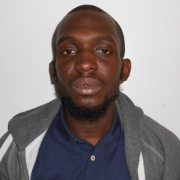 Along with TfL officers, they comb the streets looking for idling hot spots – areas where there are a high number of drivers leaving their engines running while stopped, such as high streets and near schools. 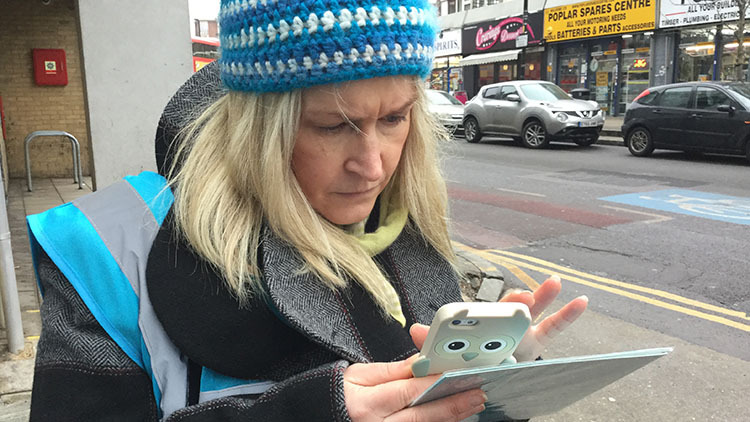 Using a smartphone app, they then record data of the number of cars seen idling and the effectiveness of their engagement. 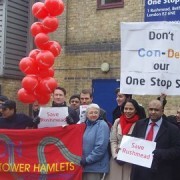 This is then collated into scientific data to measure the scale of the issue across the participating boroughs. Zajota said the aim was to “raise awareness in the community” and inspire people “to make wiser pollution choices”. This, he said, could be anything, from parents switching their engines off while they wait for their children, delivery drivers turning the engine off while eating in their cab, or people choosing more environmentally friendly modes of transport. As well as directly encouraging people to reduce their engine pollution, the volunteers educate youngsters in the hope that they will think differently about pollution. 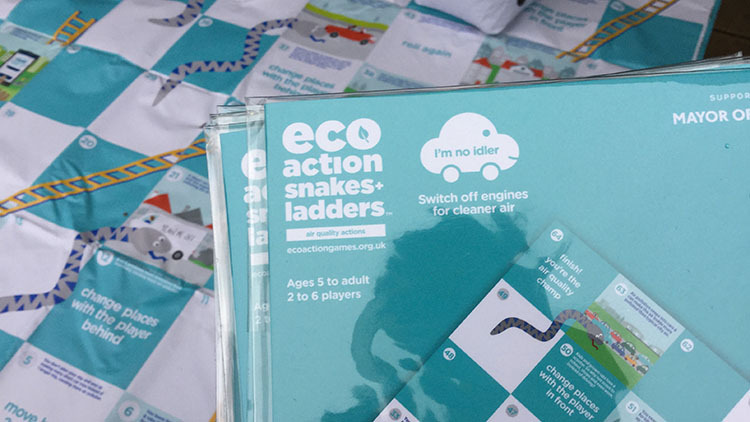 Once a driver has been informed about the negative effects of idling, they are rewarded with car stickers and a customized snakes and ladders game that teaches their children about air pollution. A local mother we spoke to outside a school, said she had often bemoaned the amount of cars and minivans carelessly pumping out dangerous fumes around school playgrounds. She said the scheme was a “brilliant idea”. Idling Action has more events planned in the coming months, including one at Whitechapel Hospital on 23 February and then Canary Wharf soon after. Volunteers are invited to join the scheme and get involved. Follow Luke Radcliff on Twitter.